In factories, in offices, and behind the wheel, artificial intelligence (AI) technology is taking on jobs humans used to perform exclusively. But what about in your doctor’s office? A growing number of physicians are turning to a form of AI—machine learning-based decision support systems (ML-DSS). This technology helps clinicians mine and synthesize enormous amounts of data—electronic health records, patient demographics, MRI images, pathology reports, and research studies, for example—to aid their decision-making. Machine learning is a form of artificial intelligence that uses complex algorithms and large datasets to teach computerized devices how to make decisions and complete tasks—without reprogramming by humans. How will ML-DSS change the way clinicians work? How will it benefit patients? Could ML lessen physicians’ abilities to analyze data and make their own decisions? Could ML take on more of the doctor’s role in the future? What excites you about ML-DSS? Berner: “The possibility of truly personalized medicine. 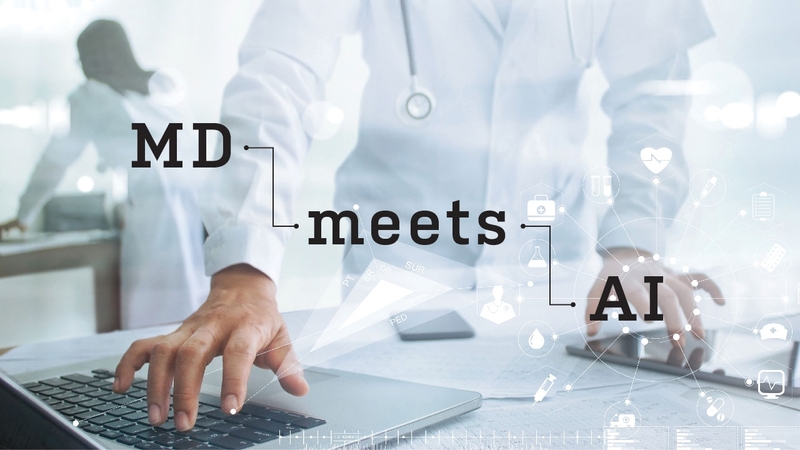 If we develop systems that can use patient data nationwide and develop models that can predict outcomes or analyze the impact of different treatments, a physician can identify what’s most likely to be effective for an individual patient’s situation. • Discover all the opportunities for learning and experience in the health informatics graduate program. • Help shape the next generation of health-care leaders with a gift to the School of Health Professions.